Fraudsters are cunning in their phone-scam tactics and it’s not always easy or obvious to tell straight away whether it’s a scam. Stay one step ahead with our tips. What is a vishing phone scam? These cold-call phone scams typically involve fraudsters deceiving people into believing they are speaking to a police officer, a member of bank staff or a representative of another trusted company or agency such as a government department. Usually, the fraudster will convince an individual that they have been a victim of fraud and will ask for personal and financial information in order to gain access to their account. Another variation of a phone scam involves the fraudster persuading people to transfer money to other accounts or to hand over cash directly to a courier. The fraudsters are known to encourage people to hang up and call their bank to verify the legitimacy of the call. However, a phone line can stay open for up to two minutes so the fraudsters remain on the line and play a dialling tone to trick the individual into thinking they’re calling their bank. In fact, the fraudsters are still connected and the individual is not speaking to their bank but is still connected to the scammers. To ensure you don’t fall prey to this type of phone scam, remember that in no circumstances would your bank or the police ask you to take such actions. These types of requests will only come from a fraudster. 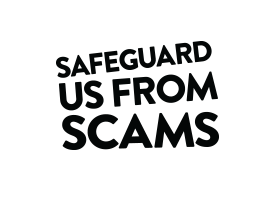 Our guide helps you if you think you may have given a fraudster your bank details. Fraudsters are very cunning in their tactics so it’s not always immediately obvious that you've been scammed, or who you should report it to.